With this new technology added to our site, this allows past guests to share and hopefully give those planning their future Grand Strand getaways know just what they thought of their time at Bay View Resort, in addition to sharing some of their vacation experiences. There are even contests held monthly with many fun prizes. Fred B.- “The best part of staying at Bayview is the easy access to the beautiful Boardwalk.” Every night we took a stroll down to the skywheel to check out the live entertainment. It was wonderful. Ashlee B- The condo we stayed in was more than accommodating. The view of the ocean from our patio was absolutely breathtaking! The employees were all extremely nice and attentive to our needs. My family and I loved this place and will definitely be coming back to Bayview on our next stay! Jason G- Me and my family stayed at Bay View during the July 4th week. My favorite part of the resort was the quality of the rooms – well furnished, large comfortable beds, and all the modern kitchen conveniences, and even a washer and dryer. It really made the time off the beach comfortable and enjoyable. 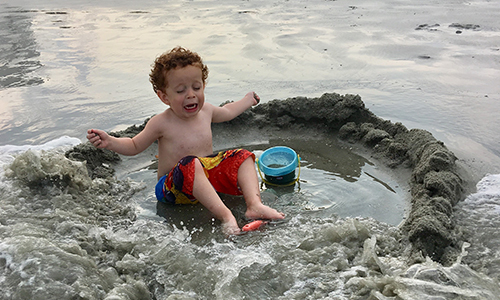 When you’re ready to enjoy a getaway on the South Carolina coast, you’re sure to make some lasting memories during your Myrtle Beach retreat — and you may even be inspired to share your great experiences with the world!